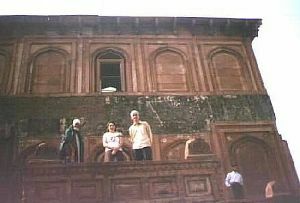 Ram Nagar Fort, Varanasi, Ram Nagar Fort in Varanasi. 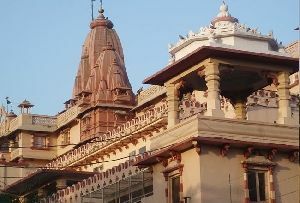 Ram Nagar Fort, Varanasi is the erstwhile as well as the current abode of the Maharaja of Kashi, often called by the name of Raja of Benaras too. 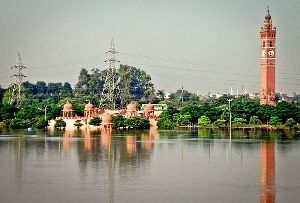 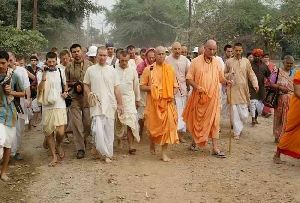 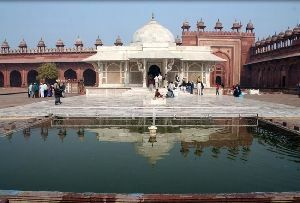 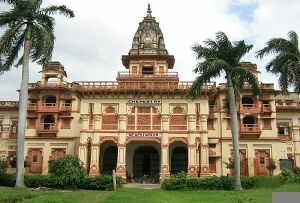 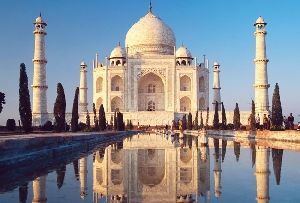 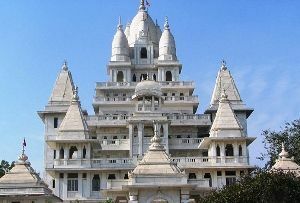 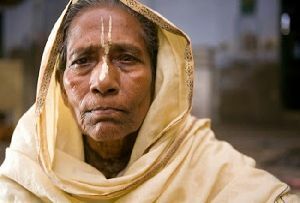 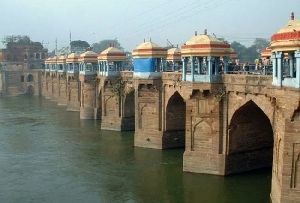 It is positioned on the opposite bank of the holy river Ganges along which Varanasi thrives. 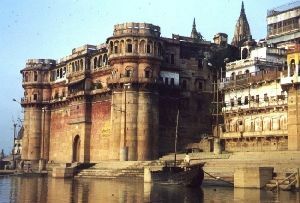 Varanasi Ram Nagar Fort is ranked highly amongst the Monuments in Varanasi. 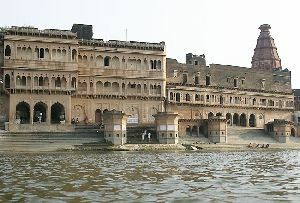 Ram Nagar Fort, Varanasi, Uttar Pradesh, India was constructed by Maharaja Balwant Singh in the eighteenth century. 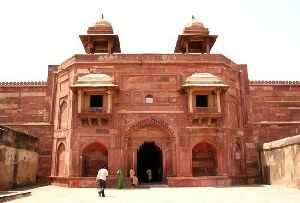 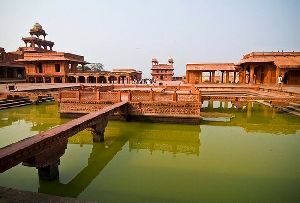 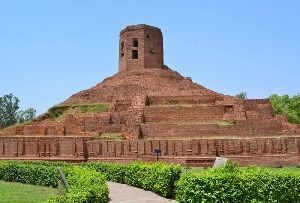 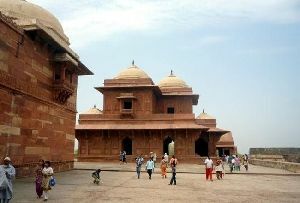 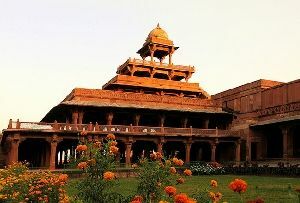 This fort is magnificently built in red sandstone. 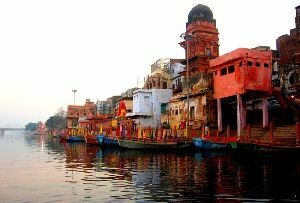 The most important structure inside Varanasi Ram Nagar Fort is the famous Hall of public audience, popularly called as the 'Durbar Hall'. 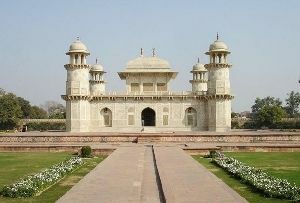 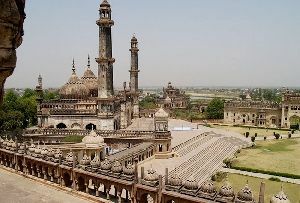 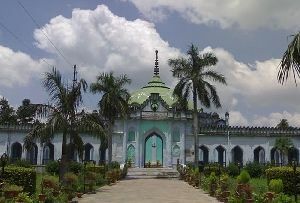 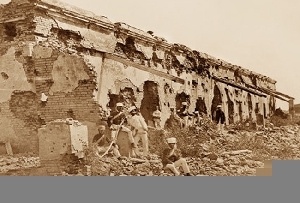 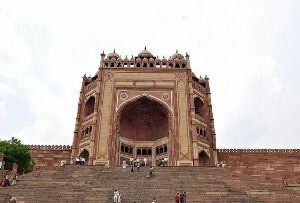 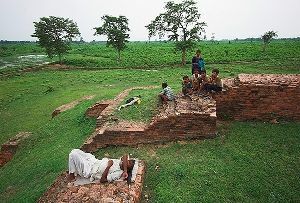 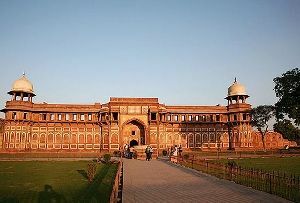 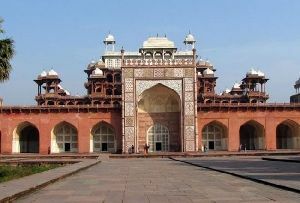 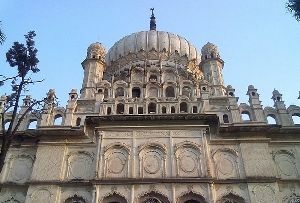 The architecture of this fort is a subtle combination of Islamic and Indian styles. 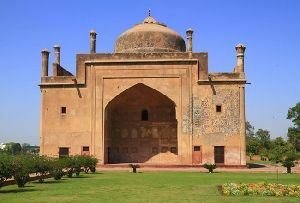 The utilization of marbles for the decorative pattern gives this fort a splendid outlook. 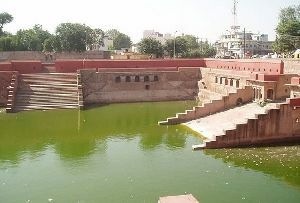 Ram Nagar Fort, Varanasi is very well maintained. 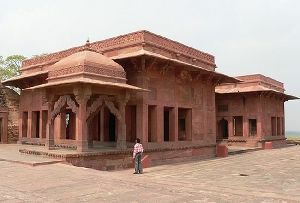 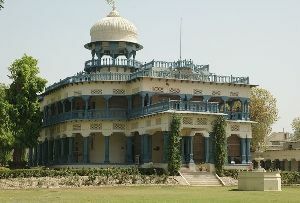 The reason could be that the Kashi royal scion still resides in this palace. 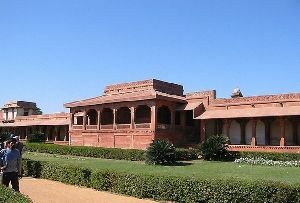 However, the residential part of the royal scion is not open for the casual tourists. 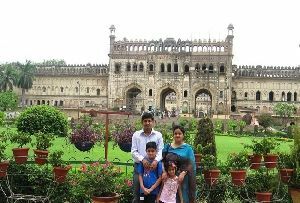 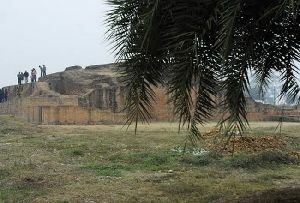 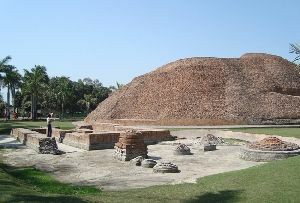 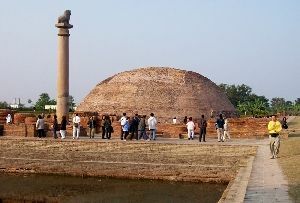 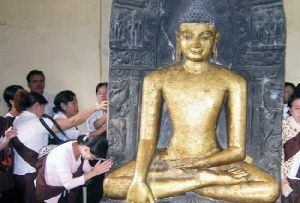 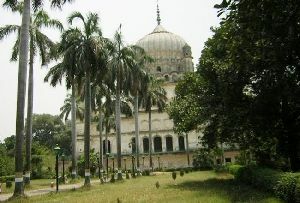 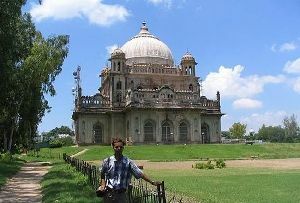 What is open for the tourists are the famous Ram Nagar Fort Museum and the temple. 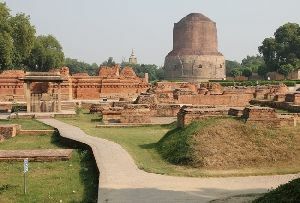 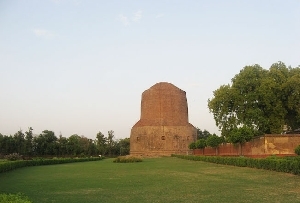 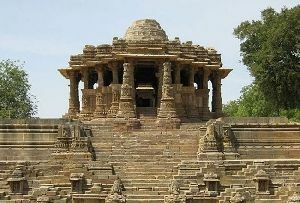 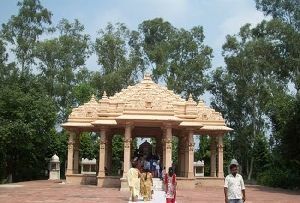 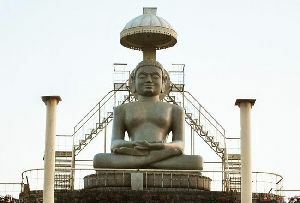 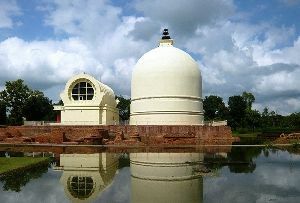 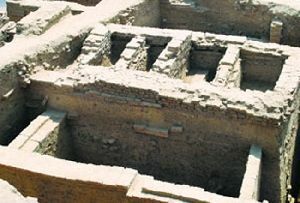 The temple is dedicated to Ved Vyasa, who is considered the author of the great Indian epic, Mahabharata. 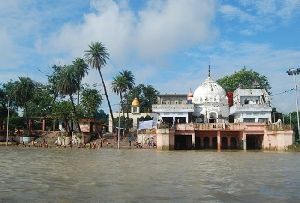 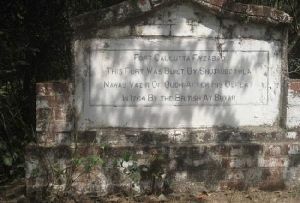 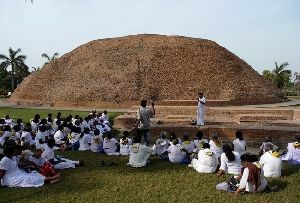 According to legends, Ved Vyasa stayed at this place for a brief period. 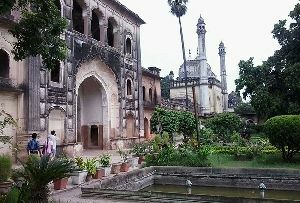 Ram Nagar Fort Museum is a good place to see some of the best and most impressive articles that once belonged to the royals. 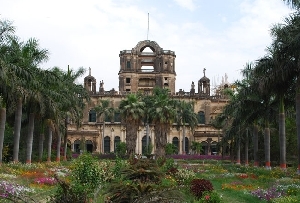 The royal collection on display at this museum includes vintage cars, palanquins, armory of old guns and swords, furniture, costumes, antique clocks and ivory work. 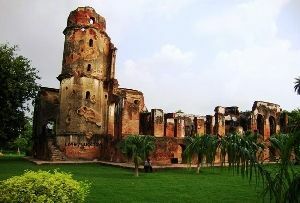 Inside the huge walls of the Ram Nagar Fort, you will find a big clock. 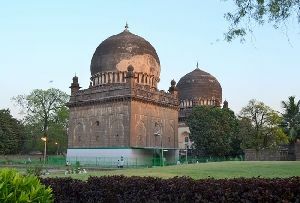 Apart from displaying year, month, week as well as day, this clock also shows astronomical facts about the moon, the sun and the constellation of stars. 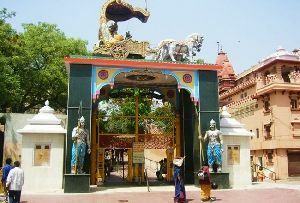 Varanasi Ram Nagar Fort is popular all over India for its grand and extravagant festivity of annual Dussehra. 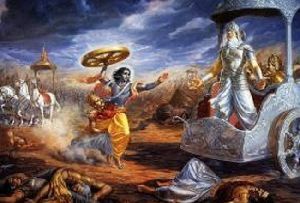 The festival of Dussehra is marked by Ramlila that is celebrated in a way that’s quite very different from the celebrations of Delhi and Moradabad. 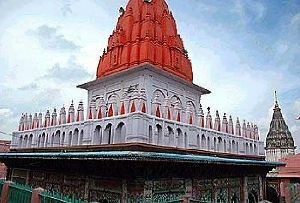 During this festival, the whole city transforms into a stage where the epic Ramayana’s different acts are staged. 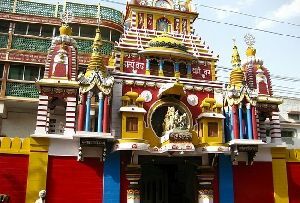 This festival also boasts of a 'Jhanki Yatra' that includes a variety of antique displays of the erstwhile royals like vintage cars, ivory items and royal palanquins. 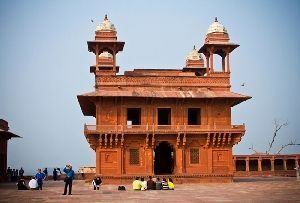 So, book yourself for a tour to Ram Nagar Fort, Varanasi as soon as possible to get enthralled by the beauty of this magnificent structure and the antique items of royalty on display.